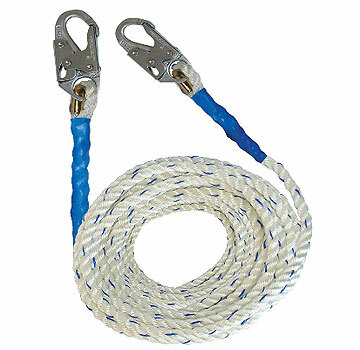 PRODUCT: 5/8 INCH X 100 FT. VERTICAL LIFELINE POLYESTER ROPE WITH LOCKING SNAP-HOOKS ON BOTH ENDS. PRICE/EACH. • Snap Hooks at both ends. • Gates have 3600 lb strength.